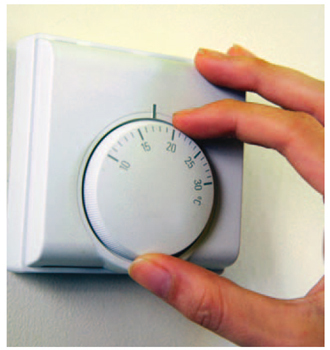 The coalition government is advancing its Green Deal proposals, expected to become law in 2011. Chris Huhne, Secretary of State of Energy and Climate Change, says, " Britain has some of the oldest building stock in Europe. 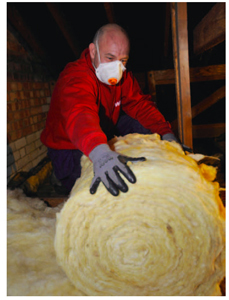 Our draughty homes are poorly insulated, leaking heat and using up energy. As consumers, we pay a high price for inefficient housing – and so does the planet. A quarter of the UK’s carbon emissions comes from the energy we use to heat our homes, and a similar amount comes from our businesses, industry and workplaces." At the heart of this programme is establishing a framework to enable private firms to offer consumers energy efficiency improvements to their homes, community spaces and businesses at no upfront cost, and recoup payments through a charge in instalments on their energy bill. If the bill payer moves, then the next owner will pick up the energy payments, and they should be less than the existing energy costs, (although this cannot be guaranteed). This is an innovative scheme involving what will be called a Green Deal provider. The government hopes it will be more effective than any centralised planning project. This is expected to kickstart a whole new consumer sector of finance providers, advisers, and installers. The role of the Green Deal provider is to offer a Green Deal plan to customers, whichenables them to finance work recommended by an accredited adviser and undertaken by an accredited installer. These functions might be done in-house by the provider, or shared amongst other organisations, but the customer’s contractual relationship is with provider. The government acknowledges that the poorest and most vulnerable may not save money, but believes these measures will mean that they might enjoy warmer homes in future. It is also essential that the UK reduces its carbon footprint and this programme should help with that. The project is estimated to create 100,000 jobs over five years. The first Green Deals are expected to start around Autumn 2012 if the legislation is passed on timetable.